A project to surround the Eastern Region of Guinea Bissau with God’s Word and His people so that the walls of unbelief, spiritual blindness and spiritual deception will be broken down. In this way many will come to the knowledge of our Lord and Savior Jesus Christ. The main goal of this Christian International Ministry is to surround and saturate this region with the Word of God. This will be accomplished primarily through discipleship and planting churches. Along with the churches, community development projects, which would meet physical and social needs in the region, will be established. In order to implement this vision Christian Churches of various denominations, and missions who are interested in reaching the Moslem peoples of Guinea-Bissau are invited to partner in this project. The needs are great. Most of all we need prayer and people. Both missionaries and training for nationals. Servants to missions can provide language learning, cultural adaptation, visas, introduction to local authorities, finding and renting local homes, real estate transaction counseling, and introduction to the Christian Missionary population. Nowhere else in the Muslim world are hearts so open to the Gospel of Jesus Christ. Would you like to partner with us in these Christian missions to Islam? We are currently visiting villages to evangelize disciple and show evangelical movies. In this manner we are preparing the way for you to plant a church in one of GUBU’s seven regions. Prayer Support: the most mighty work others can do for this project is to pray for and openness in the people, health for the workers and finances to continue. Financial Support: support can be given to support Servants to Missions or for a specific program. Your charity donation purchase will help bring a nation, ripe for picking, to Christ. 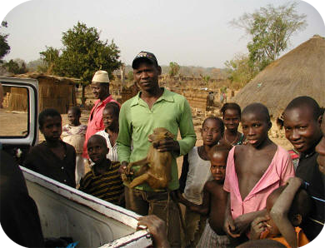 Coming and Planting Churches: Come to Guinea-Bissau and plant a church. The people are waiting. Churches, missions, and individuals are welcome. American, Canadian, Korean and Brazilian missionaries are eagerly awaiting to show you the field. Contact us and let’s discuss your short term Christian missions trip.